Improvised Painting from Live Music & Improvised Music from Visual Compositions: Live Abstract Painting by Ethan Cranke w/ Music by Gino Robair, Palle and Per Anders from Sweden + Tomas Dimuzio, Phillip Greenlief, and David Samas. GAZE EMANATIONS, drawings by Brian Lucas, performed by Pet the Tiger and Co. Cheryl Leonard, Tom Nunn, Tom Djll, Gino Robair, Bryan Day, Phillip Greenlief, David Samas. Kaori Suzuki and John Krausbauer present an improvisational composition with voices, amplified strings, electronics, and bell percussion, preceded by a performance by guitarist Tetuzi Akiyama, on tour from Tokyo. 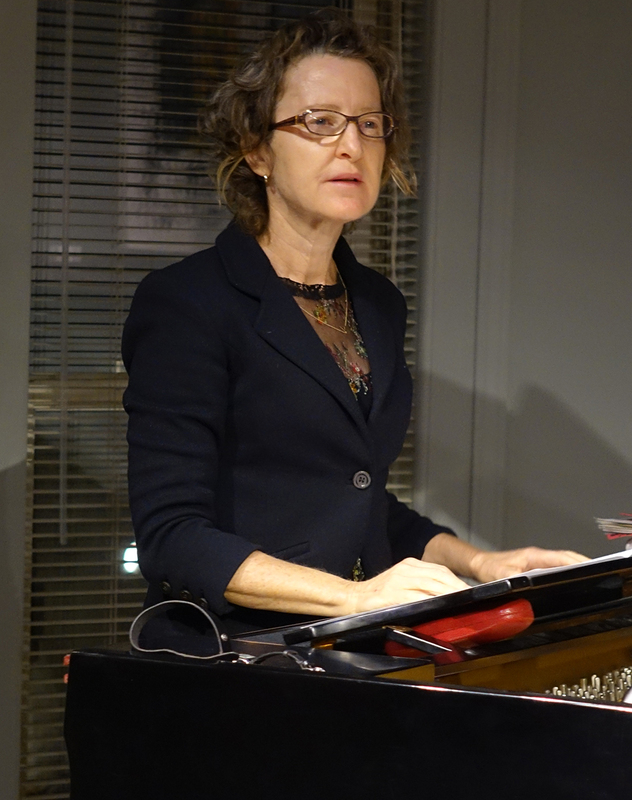 Pianist Myra Melford and bassist Joelle Leandre perform in the intimacy of a house concert in the North Berkeley Hills. They will perform 2 sets, with wine and cheese served during intermission. Keyed Kontraptions will premiere works by Brett Austin Eastman and Emily Koh. Also on the program are works by Lily Chen and Isaac Schankler. The David Brower Center & Other Minds are pleased to present Linda Bouchard with Kyle Bruckmann for the fourth installment of our 2018 The Nature of Music series. Bouchard will present excerpts from FLOCKING, as in “birds in flight” — the magical spectacle of hundreds of birds flying in their coordinated journey – and DROP, a live structure for woodwind and electronics with oboist Kyle Bruckmann. This concert will feature guitar and tenor voice performing works by living composers, three of whom are active in the Bay Area. Several world premieres! A performance carefully selected by the Soundwave Board Members. 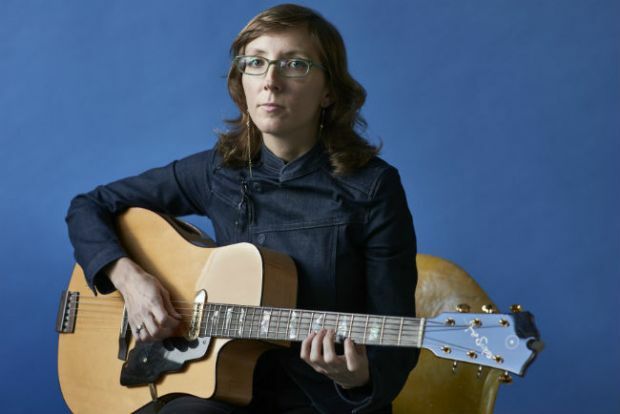 Performances featuring artists Anna Friz, Andy Puls, and Madalyn Merkey. Two from Intakt: Michael Formanek Elusion Qt: Tony Malaby / Kris Davis / Ches Smith! Don Byron & Aruan Ortiz! Eight from Clean Feed & Shhpuma: Jacob Sacks / Ellery Eskelin / Tony Malaby / M. Formanek / Dan Weiss! Chris Pitsiokos / Susana Santos Silva / Torbjorn Zetterberg! Peter McEarchern / Mario Pavone / Michael Sarin! Fredrik Nordstrom / Frederik Ljungvist! Friends & Neighbors! Sean Moran / Hank Roberts / Vinnie Sperrazza! Lajos Dudas Rarity! Two from Accordi dei Contari! Plus Historic discs from Nina Simone! Lee ‘Scratch’ Perry! Bottleneck Guitar Compilation! Plus a No More Records CD sale: William Parker solo, Roy Campbell Pyramid Trio, Rob Brown Quartet, Mat Maneri & Randy Peterson! Two from Frank Lowe & Billy Bang! And even more vinyl! Free Jazz & Social Justice: revolutionary music, art, and thought. The Vision Festival, a highlight of NYC cultural life for 23 years, makes its first-ever appearance in Boston. 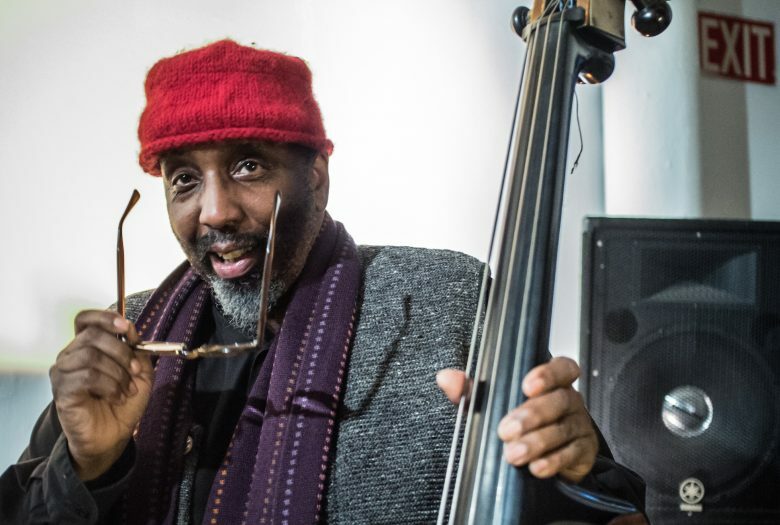 This multidisciplinary event will feature performances by legends of Free Jazz including William Parker, Matthew Shipp, Andrew Cyrille and a lecture/performance by renowned theorist Fred Moten. Improvisation is not just a strategy for art, it’s a mode of deeper engagement with life. 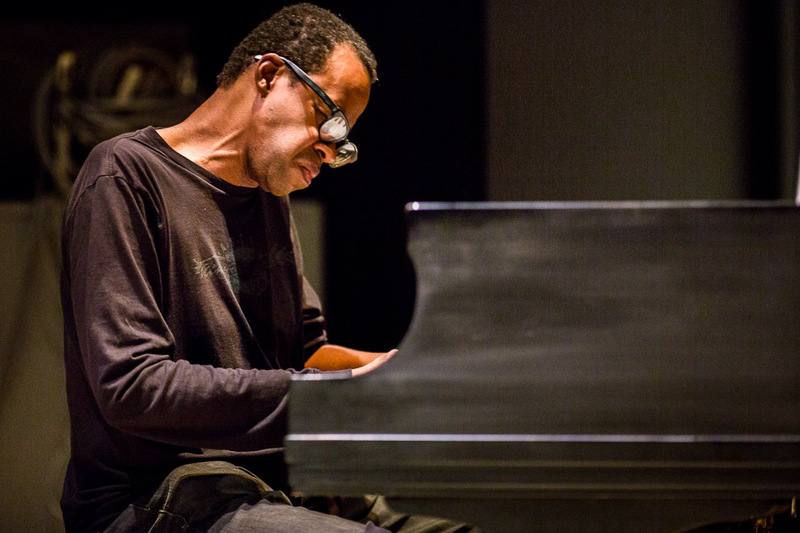 The Balance is the fourth edition in AUM Fidelity’s DSW-ARC Series; it presents an outstanding and incendiary David S. Ware concert, in trio with William Parker and Warren Smith. 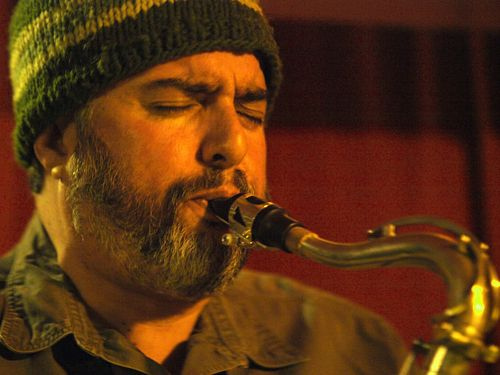 A tenor sax–bass–drums excursion displaying full vitality from the first note, this suite of spontaneous form was created at NYC’s Vision Festival in 2010. Ware had been a perennial at this vital annual gathering since its beginning; this was his first time back since the revered Quartet bid farewell there in 2006, and it was an exhilarating return. Also included here are four out-takes from the Onecept session – all of which had been completed & considered for inclusion at that time. The three releases together present the total work which this group created. Released on his own Centering Records imprint (dist. by AUM Fidelity), this special edition release is comprised of two brand new full-length albums, distinct in personnel & approach, yet complementary in ethos. William Parker is / has been on a profound and voluminous creative flow. Both of these albums were made in Summer 2018; they follow up and extend on his June 2018 release, the exemplary triple-album set Voices Fall From the Sky. Flower in a Stained-Glass Window fully features vocalist Leena Conquest, a tremendous interpreter of Parker’s work in song. She can be heard to deep affect in his Raining On The Moon and Curtis Mayfield projects. This is her first work together with Parker since 2012, and it is a potent return to this creative orbit. She sings and speaks atop of and within a fresh ensemble featuring Parker’s bass together with long-time compatriots trombonist Steve Swell & saxophonist Dave Sewelson, South African drummer Kesivan Naidoo (in his first work with Parker), Parker’s son Isaiah on piano, as well as younger saxophonic talents Abraham Mennen and Nick Lyons. This work is dedicated to the inspiration of Martin Luther King, and the lyrical content pulls no punches delivering the truth as Parker sees it. The message is: social and political justice and equality for all human beings.